Have the Mochi of Your Dreams! Mochi may have one shape, but don’t let that limit your imagination! When it comes to food, rules are meant to be broken, and the sooner you start breaking rules, the faster you become an innovator. 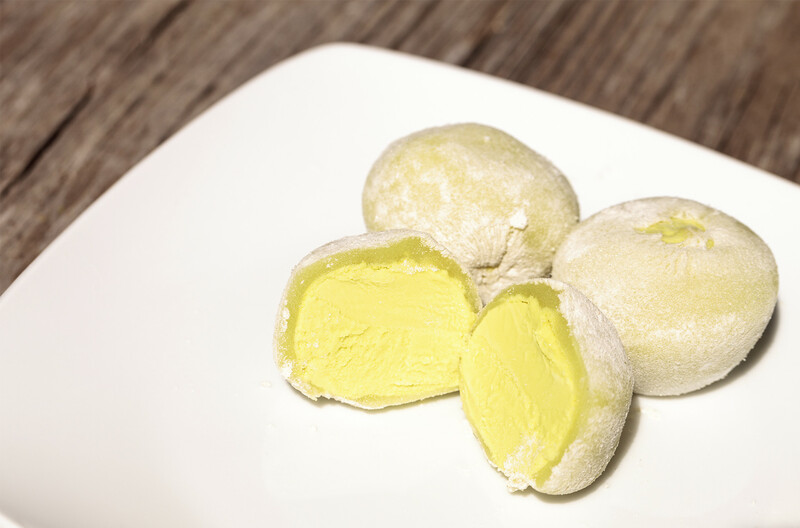 Mochi is a delicious ice cream treat that originated in Japan. Since the mid-20th century, mochi has spread throughout Asia, with people falling in love with it the world-over in the last decade. As mochi has spread all over the world, people from different cultures have added their own twists to the fantastic dessert. If having a little rice-and-ice cream pod proves boring to you, here are some ideas to spice up your mochi. Think of Valentine’s Day, mother’s day, the birthday of a female family member, anniversaries…if someone in your life loves getting bouquets, why not set them up with a bouquet that is both beautiful and delicious? Head over to your local arts and crafts store, grab a couple boxes of thin sticks with pointed edges, some green paint, and some styrofoam. Paint the styrofoam and sticks with the green paint, place the sticks into the styrofoam with the pointed end facing up. Stick on the mochi of your choice (strawberry and vanilla almost always win), and give it to someone you love! Think of all of the great things that are better when they’re dipped in chocolate. Ice cream is probably the first thing that you thought of, but how would this happen with mochi? Great question, delicious answer! Grab a bag of chocolate chips, and some coconut oil. Melt the chocolate chips and coconut oil, dip the mochi (halfway or completely, it’s up to you! ), pop them on a wax-lined cookie sheet or baking pan, put them in the freezer for just a little while, and voila! You’ve got chocolate-shelled mochi, and life is a little better. Having a sweet, creamy dip for your mochi is easy, and you have two ways to do it: either scrape the cream from a sandwich cookie (Oreos are always a great option! ), melt them in a bowl, and dip away, or combine cream cheese and powdered sugar in a bowl, beat it, add vanilla extract and cocoa powers, beat again, dip, and enjoy! Don’t feel like chocolate is your only option; crush a couple of the Oreo cookies in the cream dip for a textured delight. Try adding fruit juices to the homemade mix. The only limit is your imagination! This is quick, simple, amazing, and fun! Just grab two chocolate mochi, one Oreo cookie, a dab of Nutella, and bite in! What you’ve got is an ice cream sandwich unlike any other that’s existed. The ultimate salad is a mix of chopped ice cream mochi, regular chopped mochi, chocolate chips, butterscotch chips, and whipped cream. Toss it all together, grab a fork, and chow down! Mochi has too many amazing possibilities for you to just eat them straight out of the box, so don’t! Make sure you’ve got crazy ideas for this versatile dessert.